Retro Rock And Roll 50s Fashion Man With Dark Grease Hair. Smoking.. Stock Photo, Picture And Royalty Free Image. Image 25226981. 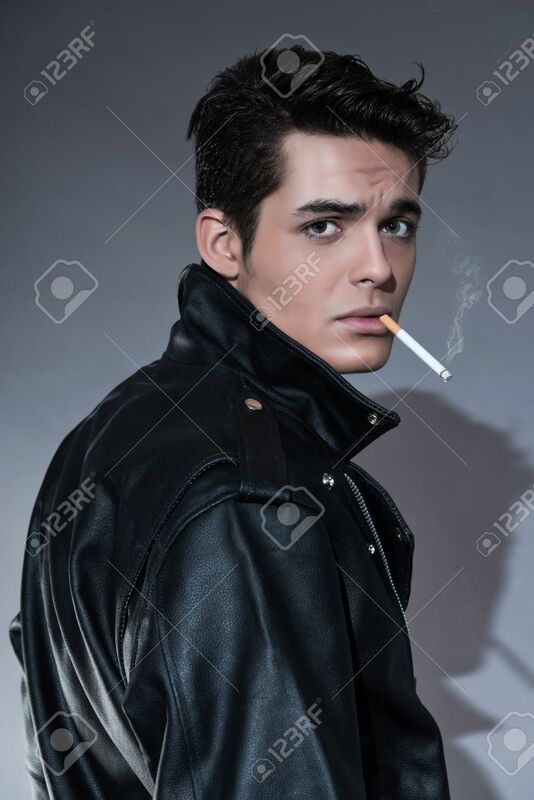 Stock Photo - Retro rock and roll 50s fashion man with dark grease hair. Smoking cigarette. Wearing black leather jacket. Studio shot against grey. Retro rock and roll 50s fashion man with dark grease hair. Smoking cigarette. Wearing black leather jacket. Studio shot against grey.